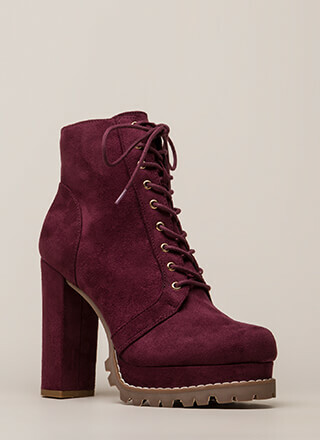 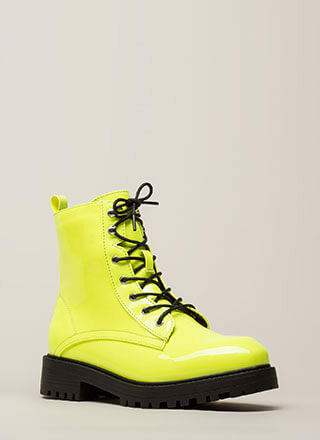 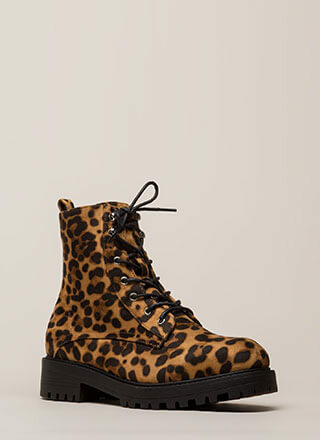 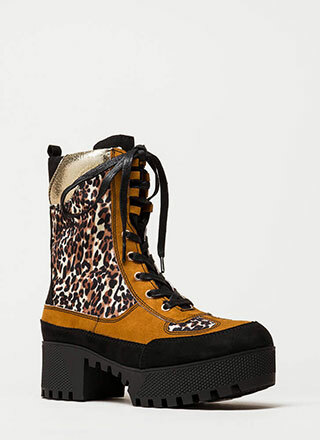 Getting these shoes will prove to be a notch on your belt! 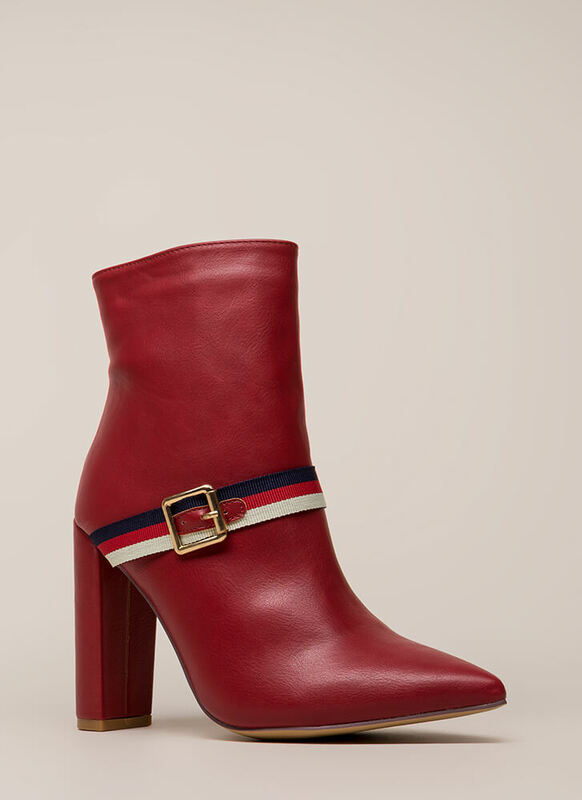 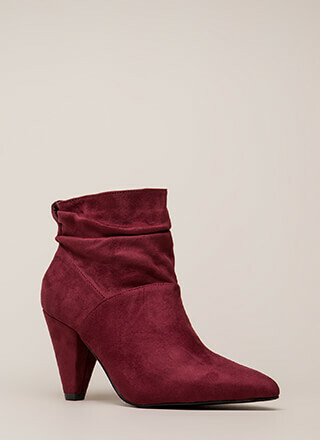 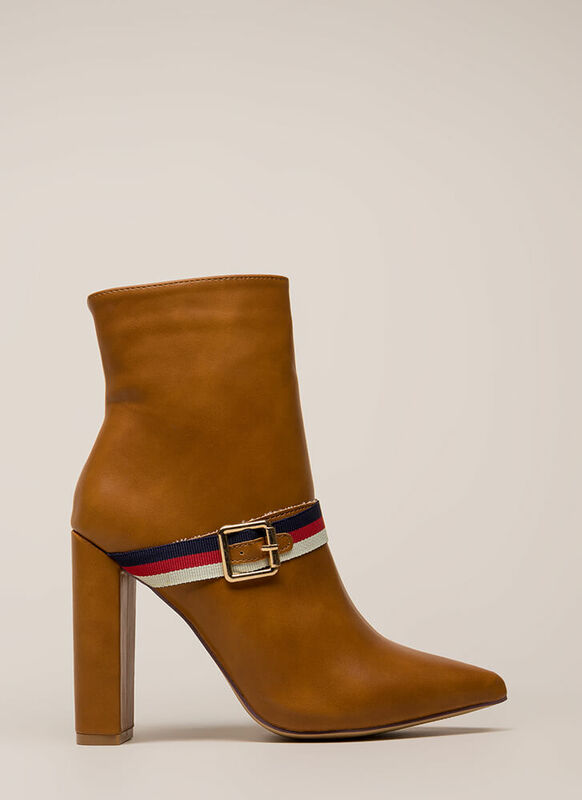 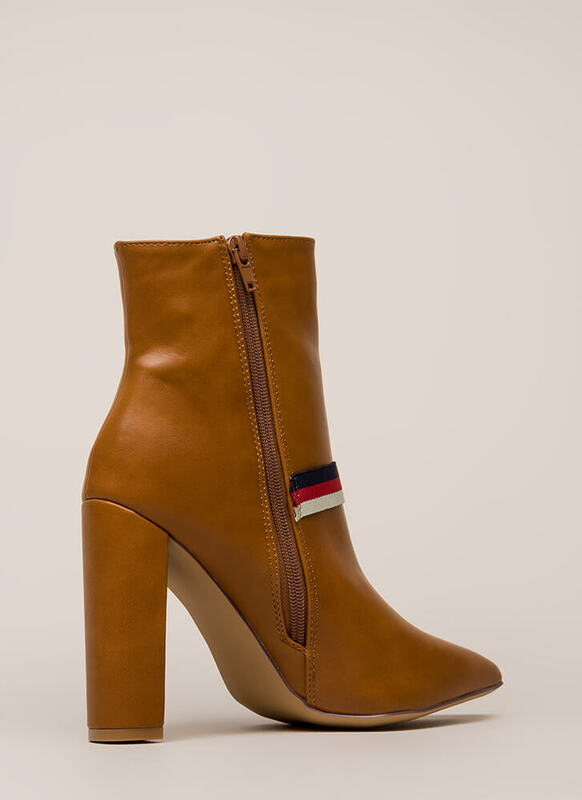 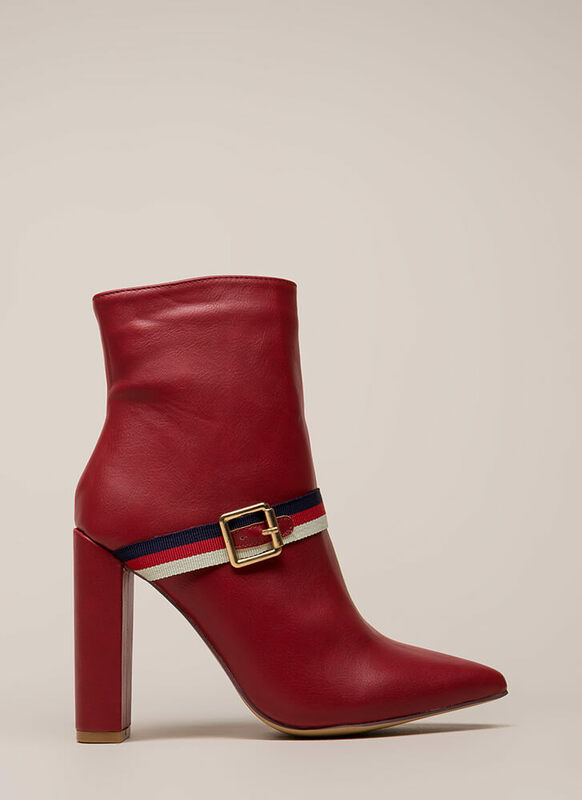 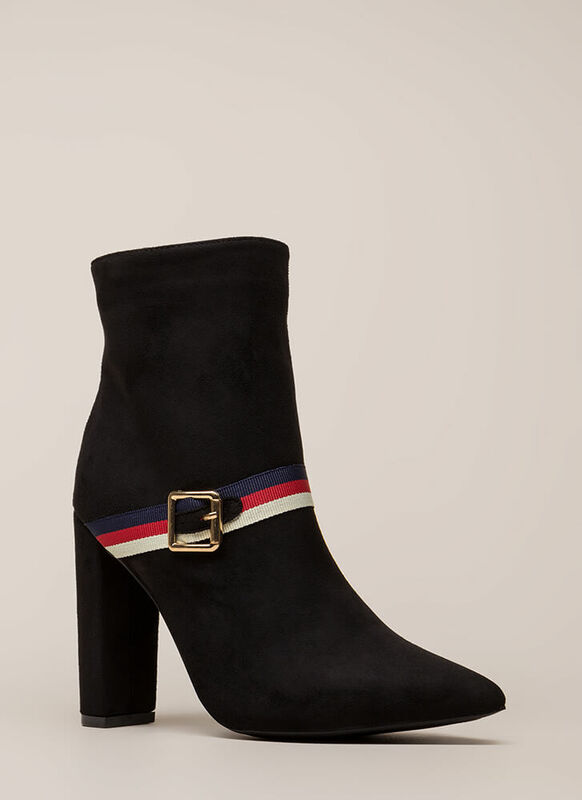 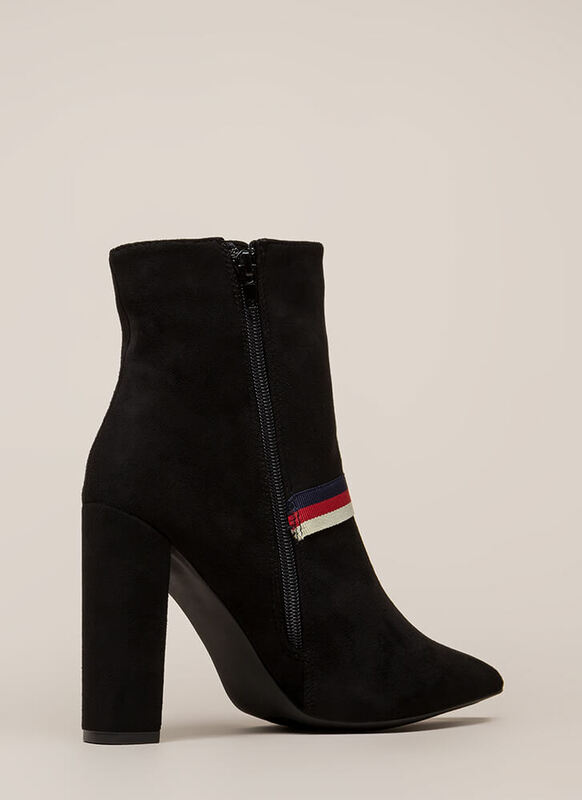 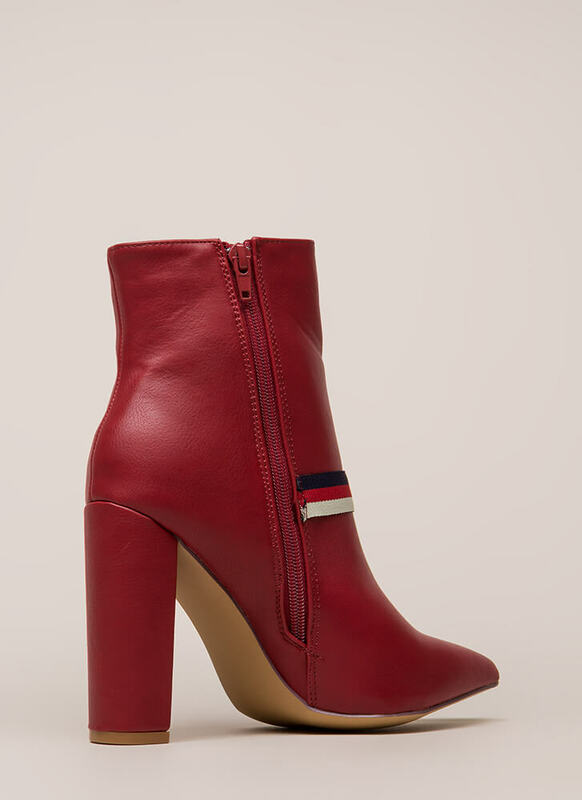 Pointy, chunky booties feature a woven, striped, tri-color strap across the front that is finished with a square buckle for a belt-like look. 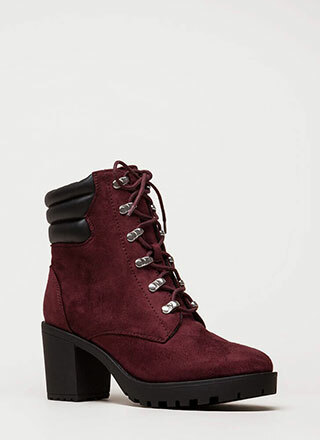 Shoes also include a ridged sole and a side zipper for easy on and off.